COMPASSIONATE CLIMATE ACTION: 29 Days - Where are the Elders' Voices? I have found myself wondering a lot lately where the "elders" are in the fight to safeguard the future from climate chaos. I know the Raging Grannies are out there, singing their hearts out, bless them. I know the American Legion passed a resolution this past summer to urge the American President and Congress "to establish a worldwide plan to significantly reduce carbon-based emissions" (bless them, too) (although they misguidedly "whereas-ed" it by saying "the United States based its refusal of the Kyoto Protocol on inconsistent provisions within the protocol that unfairly burdened the United States with stricter prohibitions than other developed [sic] nations including China, Russia, and India" as though they've been to China and India and didn't see the tiny, tiny carbon footprint of millions and millions and millions of Chinese and Indian people). It turns out that George Monbiot — and the Pew Research Center in the US — also noticed that anti-global warming/climate change "beliefs" seem to be strongly influenced by age. "The Pew report found that people over 65 are much more likely than the rest of the population to deny that there is solid evidence that the earth is warming, that it's caused by humans, or that it's a serious problem. This chimes with my own experience. Almost all my fiercest arguments over climate change, both in print and in person, have been with people in their 60s or 70s. Why might this be?" asks Monbiot. My husband has greying hair, and he gives up to 18 hours a day to this issue. But it does seem as though the majority of deniers, skeptics, delayers or just plain "ignorers" are senior citizens. An environmental campaigner told me recently of her encounters with seniors ("It has been so surprising how many people say, 'Oh, I am too old.' Seriously? To me it sounds like they are saying, 'I am done, I support nothing new, I live in my safe little box and do not care to think of anything else.' It blows my mind," my friend told me). And I remember clearly a visiting grandfather, at the school to pick up his grandson, who started chatting with me while I was putting a climate change bulletin board up in the hallway. "Ah well," he concluded our conversation, "it's not my problem." It's not your problem? It's not YOUR problem? With any due respect, Sir, let me tell you why it is, indeed, your problem. 1. Your generation had a huge hand in creating this problem. 2. Yours is the wealthiest generation in history, and you probably made your wealth, at least in part, by helping to create this problem. For several decades, your exploitation of the Earth was ceaseless. 4. Your children and your grandchildren are your descendants — and their future is threatened by this problem. 5. If you don't die soon, your future is also threatened. Climate disruption is already impacting senior citizens (and their children and grandchildren) in many regions of the world. If the Arctic summer sea ice disappears as early as now predicted, then expect heat waves, droughts, wildfires and crop failures in the northern hemisphere — and in your lifetime! And that will definitely be your problem. But here's the thing ... and here's where you come in. Two huge solutions are small, quick and easy!! 1. Paint your roof white, to replace the disappearing 2.5 million square miles of albedo — the heat-reflecting effect of white ice and snow — in the Arctic. 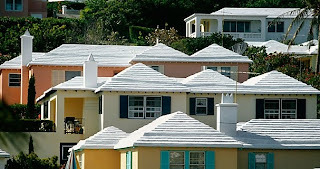 No less an expert than Steven Chu, US Secretary of Energy, explains that painting our roofs white would be the equivalent of taking all the cars in the world off the road for 11 years. The simple act of painting roofs white, he says, could have a dramatic impact on the amount of energy used to keep buildings comfortable, as well as directly offsetting global warming by increasing the reflectivity of the Earth. 2. Stop eating meat — for the sake of our children and grandchildren (and for your own sake, too ... a plant-based diet is better for you and for the planet). That's it. Sure, stay home more often. Quit flitting about the planet. But your generation has the power and the advantage of money and time — and these two quick simple solutions are easily within your grasp. Please do them. Then spread the word. At the Legion, your favourite coffee shop or pub, the seniors' centre, your next card party. Just talk about it. Talk about what you've done and why — because you love your kids and grandkids and want to take responsibility for your part in the mess the world's in, and you've decided to start thinking like an ancestor. Talking about the actions you've taken is the easiest thing you can do to help save the future.